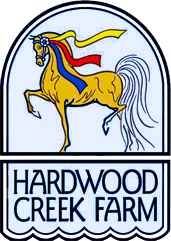 Hardwood Creek offers a world class showing experience. From local, to regional, to national shows, we cater to all levels for our horses and riders in training. Please inquire on our contact page or give us a call if you would like to schedule a time to meet with us or try any horses for sale at these shows. F.A.S.H. Spring Horse Show is a USEF approved show and Louisville qualifier. The United States Equestrian Federation takes seriously its role as a governing body for equestrian sport and implements programs and policies to protect human and equestrian athletes. Summerfest will offer classes for the American Saddlebred Horse, Morgan's and Hackney Ponies. In addition, Open and Academy Classes as well as Novice and Limit Classes are available. AMHA Star rated show! Bring your Morgans! The Purpose of this Association is to promote the breeding, development, exhibition, marketing, sale and ownership of American Saddlebred Horses; to encourage the production and exhibition and to improve the quality of breeding stock by offering monetary rewards, emoluments and other inducements to breeders; to create mutual confidence and respect between breeders and buyers; to promote educational programs and to better marketing methods, and to carry on publicity campaigns and generally to do any and all things necessary or expedient in the betterment of the breeding and marketing of American Saddlebred Horses. The corporation shall be authorized to hold title to real estate and property and to cooperate with other associations in the furtherance of corporate purpose. For more than 40 years, The Grand National & World Championship Morgan Horse Show has represented the pinnacle of achievement in the Morgan Horse world. It is held mid-October each year in Oklahoma City to permit equal access for exhibitors from all parts of the country. More than 5,000 Morgan enthusiasts attend the show at the Oklahoma State Fairgrounds. This year, the show will offer over $300,000 in prize money and awards to the owners and exhibitors of the over 1,000 horses competing from 45 states and 4 nations. The first Grand National & World Championship Morgan Horse Show was held in 1973 in Detroit, Michigan. The show was held in Detroit again in 1974. Oklahoma City, Oklahoma became the current home of the show in 1975. Saddlebred, Morgan, Hackney Pony, Open, and Academy Classes. The American Morgan Horse Association Region 3 Championship horse show.